2011-2013 MSc (Epidemiology) Faculté de medécine vétérinaire, Université de Montréal, Canada. 2002-2008 D.V.M. 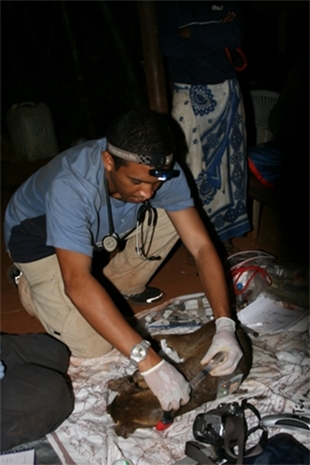 Department of veterinary sciences and medicine, University of Antananarivo, Madagascar. I am interested in conservation medicine, wildlife health, and emerging infectious diseases at the human-wildlife interface. Emerging diseases are an increasing threat to wildlife populations but may also impact livestock as well as human health. My previous research was on the transmission of Giardia and Cryptosporidium, two potentially zoonotic protozoan parasites, between humans, domestic animals and wildlife in and around the Ranomafana National Park, Madagascar. 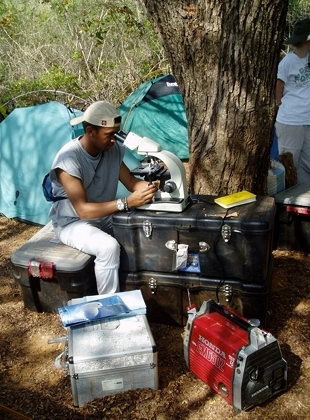 By using advanced parasitological techniques, quantitative methods and geographic tools, I was able to understand partly the epidemiology of these parasites in an ecosystem. This research also allowed us to document for the first time the occurrence of these parasites in two species of wild lemurs from Madagascar. I would like to conduct my PhD research on the multiple two-way interactions between human, domestic animal and wildlife health in Madagascar, a biodiversity hotspot. Bublitz, D.C., Wright, P.C., Bodager, J.R., Rasambainarivo, F.T., Bliska, J.B., Gillespie, T.R., 2014. Epidemiology of Pathogenic Enterobacteria in Humans, Livestock, and Peridomestic Rodents in Rural Madagascar. PloS one 9:e101456. Rasambainarivo, F.T., Junge, R.E., Lewis, R.J., 2014. Biomedical Evaluation of Verreaux's Sifaka (Propithecus verreauxi) from Kirindy Mitea National Park in Madagascar. Journal of Zoo and Wildlife Medicine 45:247-55. Junge, R. E., C. J. Dutton, F. Knightly, C. V. Williams, F. T. Rasambainarivo, and E. E. Louis. 2008. Comparison of biomedical evaluation for white-fronted brown lemurs (Eulemur fulvus albifrons) from four sites in Madagascar. Journal of Zoo and Wildlife Medicine 39: 567-575. Rasambainarivo, F. T., and R. E. Junge. 2010. A 12-month survey of gastrointestinal helminth infections of lemurs kept in two zoos in Madagascar. Journal of Zoo and Wildlife Medicine 41: 638-642. Rasambainarivo, F., T., Gillespie, P. Wright, J. Arsenault, A. Villeneuve, and S. Lair. 2013. 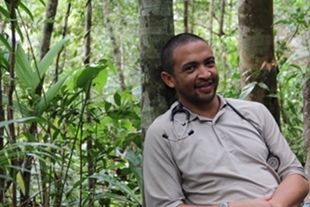 Survey of Giardia and Cryptosporidium in lemurs from the Ranomafana National Park, Madagascar. Journal of Wildlife Diseases 49: 741-743.